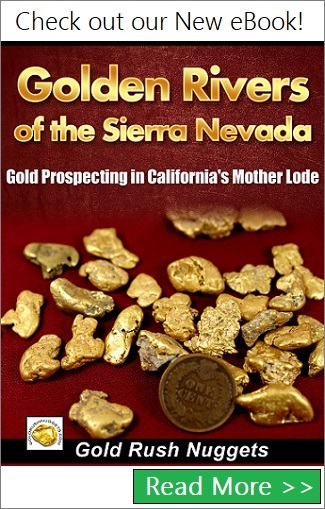 On January 24, 1848 at Sutter's Mill in Coloma, California, James W. Marshall found chunks of gold, and after news spread abroad about this discovery, multitudes of gold-seekers called “49ers” went to California. However, what are the specific facts that we can take from this time period? Here is a list of 5 interesting facts about the California Gold Rush period from 1848-1855. 1) The Gold Rush led to California's growth and establishment as an American state. Around 300,000 gold-seeking 49ers, mostly made up of Americans but also immigrants from Europe, Latin America, Australia and Asia, came to California to take their chances at finding gold. Because of the booming population of settlers coming in from all over the world, legislation would eventually pass on September 9, 1850 to officially recognize California as a state. This is known as the Compromise of 1850. 2) Finding gold was considered to be free for the taking. By law all goldfields were on “public land”, land owned by the United States government. However, there were no official rules in place and no official measures of enforcing any rules in these days. For the 49ers there was no private property, no licensing fees and no taxes. A prospector could stake a claim and would keep that claim valid as long as he actively worked the land. If a 49er ever abandoned a claim or stopped working on it, that land was considered abandoned, and a new miner could start working on that land if he desired to do so. 3) There were many ways to find gold. There were more than just one way for 49ers to find gold. They could pan for gold, which would be to extract the gold from a placer deposit, scoop up gravel in a pan and then shake it while it was in the water. Panning for gold is an effective method because the sand and gravel are light in weight and can break apart, whereas gold is a heavy metal and stays in the pan. Hard Rock Mining was the act of digging and blasting gold right from the rock that had it. The richest gold ores often contained quartz rocks with free-milling gold veins running through them. This mining method started around 1851 in Coloma where rocks were crushed and the gold was picked apart once the rocks were brought up to the surface. The hard rock sources were generally found by tracing the places upstream to the point where to gold began. In 1853, prospectors began using hydraulic mining, which involved high pressure water jets that were powerful enough to dislodge various rock materials. The water blasted out of the jets would break apart the soft underground deposits to hopefully draw out gold. Unfortunately, hydraulic mining led to environmental damage such as flooding and erosion, blocked water streams and covered farm fields. This practice was eventually outlawed. 4) There Were Conflicts with the Native Americans. When the settlers approached California, they would get acquainted with Native American Indians that lived in the Great Basin, east of the Sierra Nevada and west of the Rocky Mountains. These Native Americans were often killed by vigilante groups comprised of miners, loggers and settlers, and from a span of 1845 to 1870, the estimated population of 150,000 Indians dramatically dropped to just 30,000, with only 20% of the original population staying intact. The Bridge Gulch Massacre was the most notable genocide event. After Colonel John Anderson was killed by a group of Wintu Indians on April 23, 1852, 70 men led by the sheriff of Trinity County, California William H. Dixon went to Kayfork Valley to track down the Wintu, and once daylight broke, the massacre began. However, it was later realized that the Wintu Indians the 70 men killed were not the same Wintu that were responsible for Colonel Anderson's death. Conflicts between miners and Native Americans continued for many years. 5) The cost of living in California was expensive. During the height of the gold rush, it is estimated by historians that around 12 million ounces of gold was mined. Using 2012 prices, this would amount to around $20 billion, although most agree that these are merely estimates, as most of the gold that was found in California during this time was not reported. In San Francisco gamblers paid $10,000 a month to stay in hotel rooms, which would be around $300,000 in today's value. Author of the 1850 book Six Months in the Gold Mines, Edward Gould Buffum, noted that having a breakfast of bread, butter, cheese, sardines and 2 bottles of beer with a friend amounted to a $43 bill, which in today's value would be $1,200. Buying a dozen eggs in the gold rush period would amount to an equivalent of $90 today, while a pound of coffee would go for the equivalent of $1,200, and buying a pair of boots would cost an equivalent of $3,000. The businessmen that supplied food and equipment to the miners who worked the goldfields generally made much more money than the miners who were finding the gold.